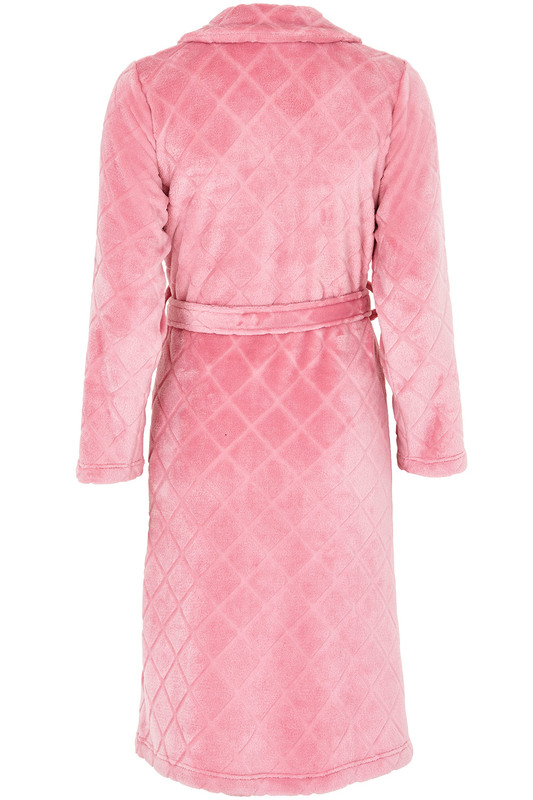 Slip into this cosy zip through gown, made from a soft and comfortable fleece fabric with diamond-stitch padding. It has an easy zip fastening and flattering round neck line with a peter pan collar, plus a tie belt to cinch your waist. 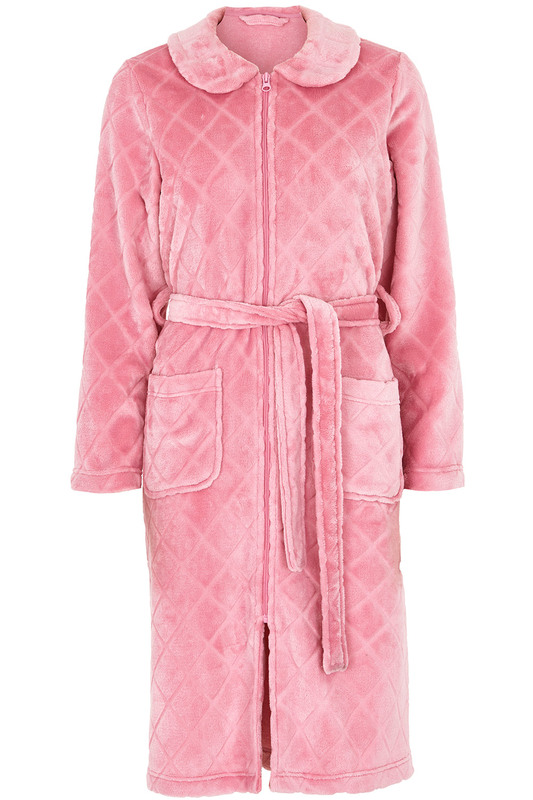 The bright pink shade is playful, perfect for teaming with your favourite pyjamas in the morning and the evening.